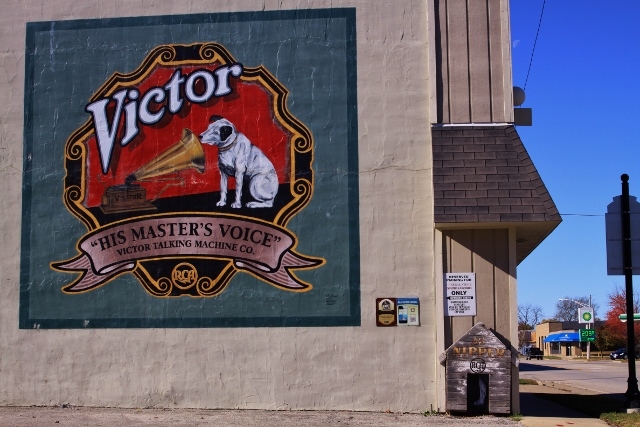 When planning for the adventure to the Miles of Possibilities Conference in Edwardsvcille, Illinois commenced a month or so ago, it included driving north through Joliet to Chicago and the eastern terminus of the double six. At some point in our planning the acquisition of some 3,000 Route 66 photographs for the portfolio was added to the list of tasks associated with the trip as there was a need to expand the offerings available through the Jim Hinckley’s America Gallery at Legends of America. When plans center on a Route 66 adventure you can be assured that the schedule will be relegated to the trash bin rather quickly. This trip was no exception. 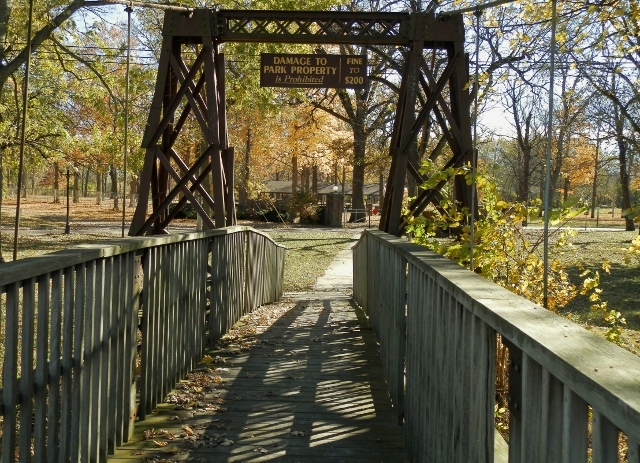 One of the historic swinging bridges in Pontiac. After a pleasant and restful evening at the Braidwood Motel with its doll house sized rooms, we reluctantly made the decision the pressing schedule prohibited venturing further than Wilmington for breakfast at the Wilmington Family House Restaurant (another recommended stop). The destination for the first day of the return trip was Jefferson City in Missouri, a slight but scenic Route 66 detour along U.S. 54. First, however, was a bit of photography along the double six in the land of Lincoln. This included a stop to look for buffalo at the Midewin National Tallgrass Prairie, to photograph sites in historic Wilmington, to check on the progress at the historic Mill Restaurant, a search for Bob Russell and a thorough but rushed exploration of Pontiac, and lunch at the Palms Grill as well as a bit of exploration in Atlanta. Route 66, especially in the era of renaissance, is a highway full of surprises, chance encounters, and delightful delays. Case in point, our stop in Atlanta. As it turned out, also dining at the Palms Grill was Tom Cotter, author of Cobra in the Barn. He too was on a Route 66 odyssey but his search was for forgotten automobiles hidden in barns and garages along the old double six. As it turned out, he was using a copy of my book Travel Route 66 to plan out his daily adventures. This as well as the previous brief meeting during an interview at Jay Leno’s Garage led to some lively discussion, and the provision of an autograph. We also had a brief visit with Bill Thomas, the mastermind behind the exciting transformation of Atlanta and the details guy behind the transition of the Route 66: The Road Ahead Initiative into a 501c3 representative organization. As luck would have it, he had driven his 1940 Plymouth to work that day and as a result, we were provided with an excellent prop for our photos. The sun was sinking fast behind the forest that loomed on the western horizon when we crossed the Mississippi River into Missouri on the beautiful steel truss bridge that carries U.S. 54. This meant that we still had miles to go before calling it a day. Still, we couldn’t resist exploring Louisiana, Missouri. Add this community to your list if your into a bit of historic urban exploration. Evidence abounds that this faded and tarnished old river town was once a very prosperous community in the era of Mark Twain. 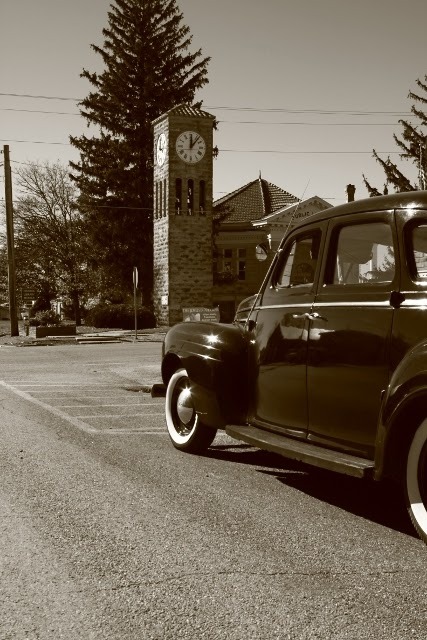 The drive to Jefferson City was reminiscent of those I remember on Route 66 four or five decades ago. A slow moving truck kept the speed from seldom exceeding forty five miles per hour, and the hills and curves kept the truck from moving any faster. As it turned this was a blessing in disguise. After passing the truck I topped a rise and dropped into a hollow with a sharp curve at the bottom. A thick misty fog was settling deep and my guess is that we missed the deer in the road by a coat of paint or two. That got the blood to flowing. We arrived in Jefferson City a bit late but still, after checking into the hotel, we set out to photograph the capital. 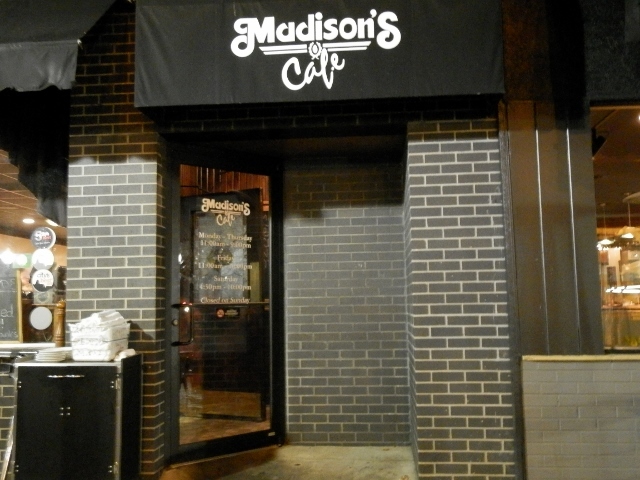 And then we topped off the day with a delightful dinner at Madison’s Cafe.